With DJ Fresh’s name attached you would be forgiven for thinking these would be Beats by Dre rip offs – not at all the case! These babies stand confidently on their own! When I received a Twitter message about DJ Fresh BUDDS – new headphones from South Africa’s biggest and best DJ – I immediately presumed I’d be seeing Beats by Dre knock offs delivered in swanky big box packaging. The DJ Fresh BUDDS arrived in a small box, with Fresh’s face emblazoned on the front. The box had one of those flaps on the front so you could see the earphones in their packaging. On removal I was a bit underwhelmed. 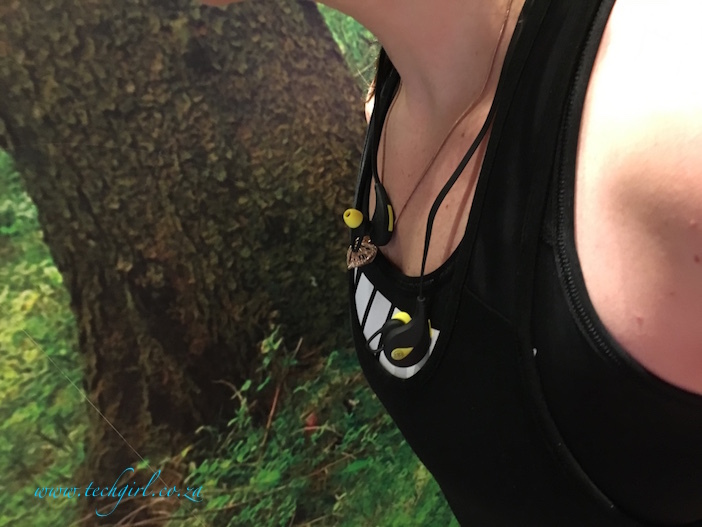 Black in ear headphones with yellow features connected by a flat black cord that will fit snuggly around your neck ensuring that if you’re training at the gym and they fall out, they stay wrapped across your shoulders. These are not for style, DJ Fresh BUDDS are for the active. It’s no secret that Fresh is a gym bunny. His physique gives it away but he has also been rather public about it. I like that with BUDDS he decided to go that route rather than the typical big canned fashion approach. 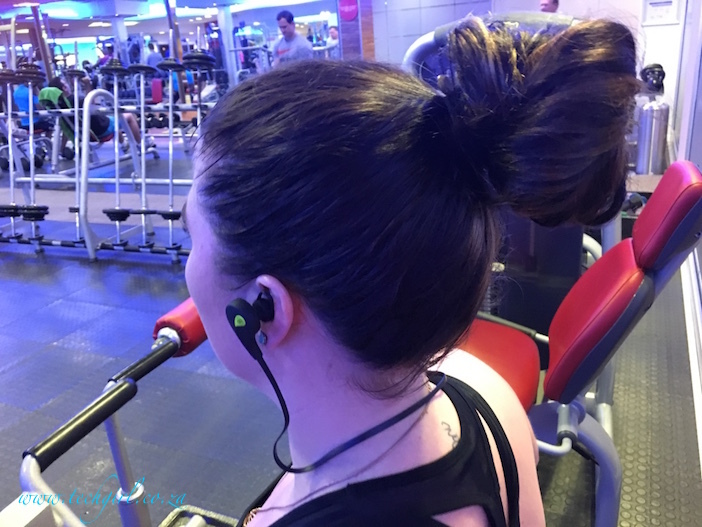 The earphones are designed to sit securely in your ears while you run, cycle or move around. The bluetooth connectivity allows for even more activity. 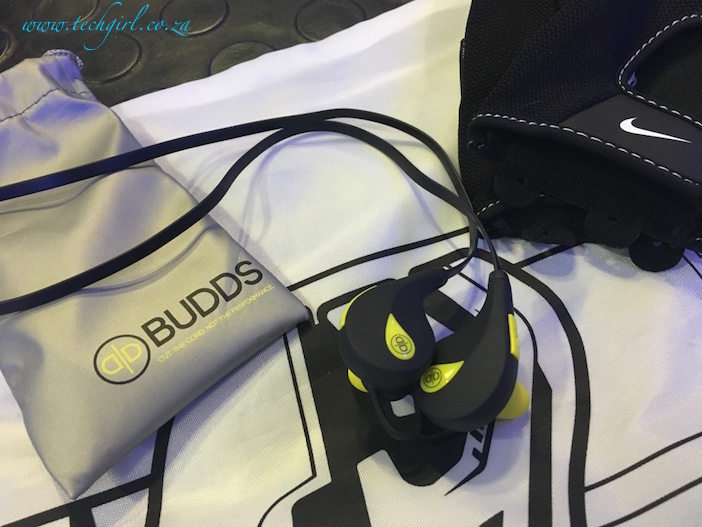 I was extremely impressed with the sound quality on the DJ Fresh BUDDS. They really pack a punch and they really do noise cancel. Earphone packaging constantly touts noise cancelling technology but I definitely HEARD the difference with the BUDDS. Connecting them via Bluetooth was really easy. They come with a host of different buds to ensure best fit and also have those funny hooks – I’ve never used those though, I’ve never understood how they work. 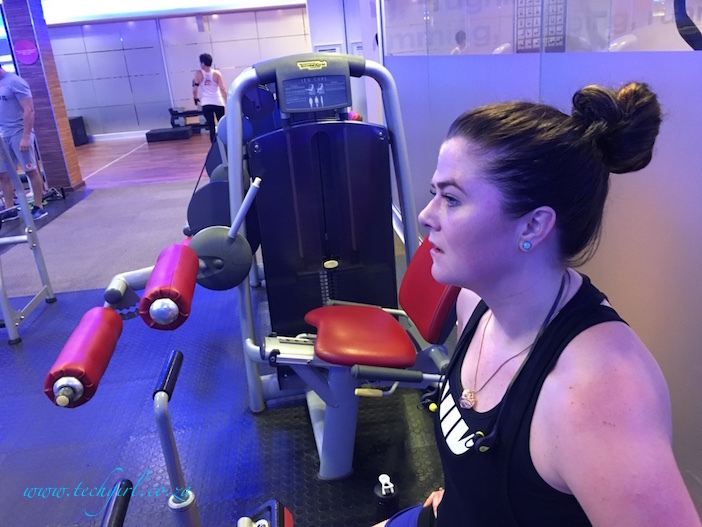 If you are a big gym bunny not only do they sit securely but they are also sweat and splash resistant – bonus. The DJ Fresh BUDDS come with a USB Charging cable. They last for about 5 hours on one charge. My only problem was that attempting to charge them was a headache – because opening the charging port was near impossible. It is such a small cover and I happen to have fake nails… not ideal. I ended up having to pop off the cover with the end of a paper clip. 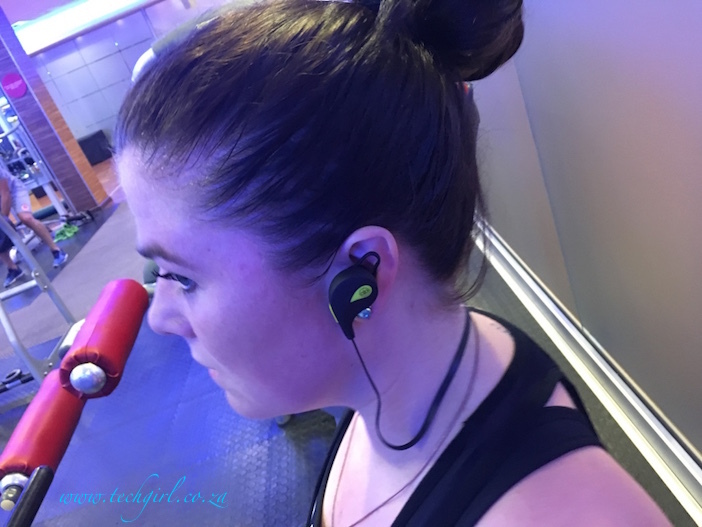 These are great earphones for someone on the go. 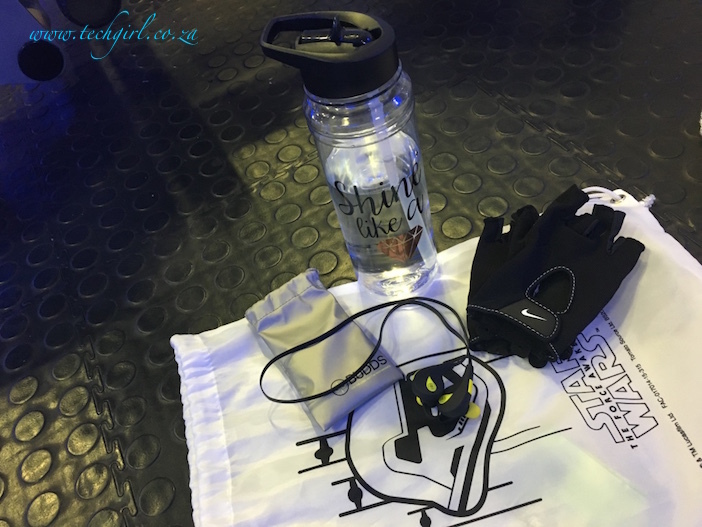 I really like them and, with my new fitness kick, they’re the perfect partner. I also think the pricing is reasonably good compared to other Bluetooth earphones offering similar sound experiences. Plus, if I’m honest, I’m a fan of DJ Fresh so that helps a bit. The sound is great and the noise cancelling even better! The fact that I feel like a chop trying to get the charging port cover off. Disclaimer: I was send a set of DJ Fresh BUDDS to keep… no trucker cap though, bleak! The shop also has the sexiest women’s racer backs. I need one for gym! Thanks to our model Lexie from Work it Out.